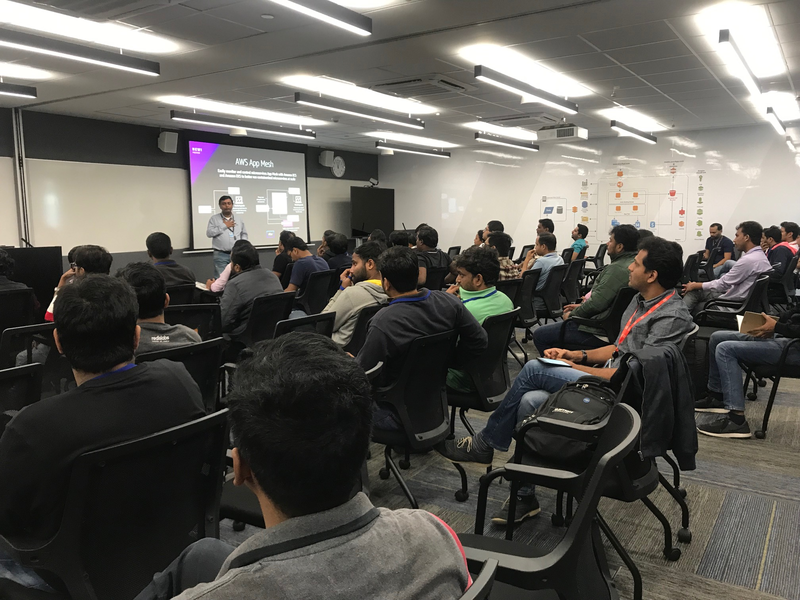 The January 2019 meetup was held at the newly opened Amazon Internet Services Private Ltd office. 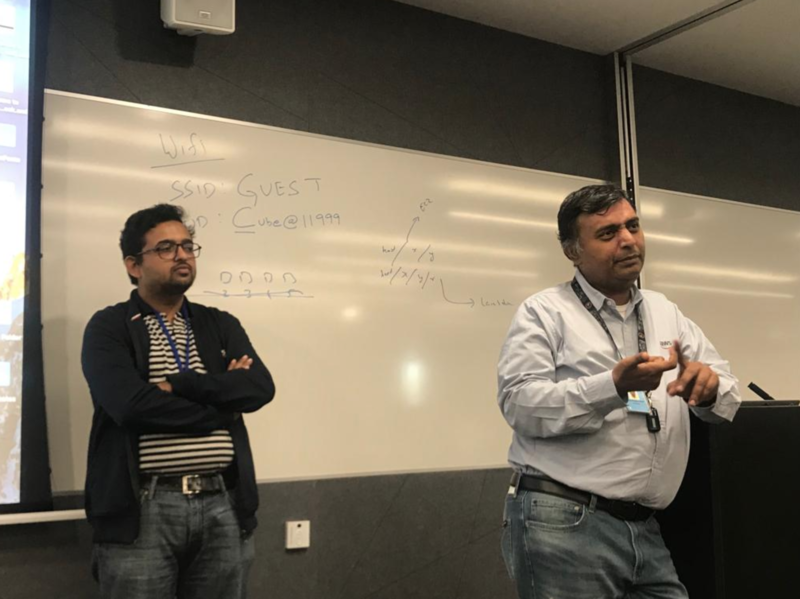 AWS re:Invent 2018 recap started with a warm welcome by Jeevan Dongre, AWS Community Hero and Lead - AWS User Group Bengaluru and introduced our speaker of the day, Madhusudan Sekhar, Principal Technical Evangelist and Head Digital Innovation, Amazon Internet Services Private Limited. 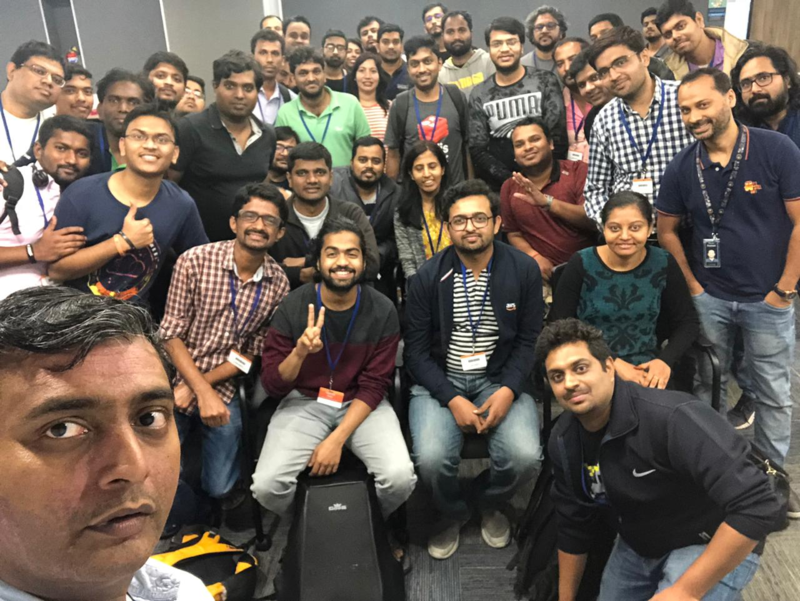 Madhu took us on quick ride around **how did AWS enthusiasts re:Invent in Las Vegas **right from Harley ride to re:Play party and from deep-dive sessions, expert sessions, hackathons to hands-on-labs. Probably this would have kindled an eagerness in the attendees to look forward for re:Invent 2019 early bird registration? 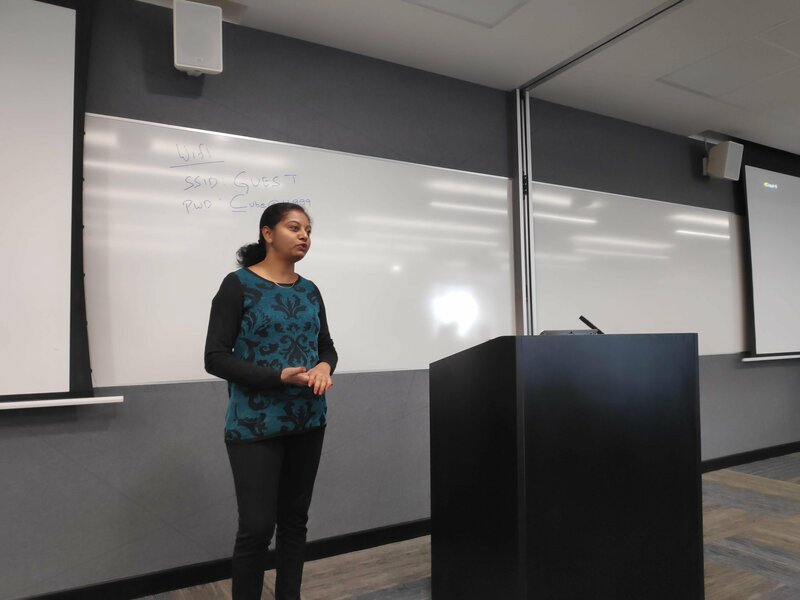 Bhuvaneswari Subramani shared her experience as an AWS diversity scholarship recipient at re:Invent 2018 and you may read more about stories in the blog - Journey through re:Invent 2018 . 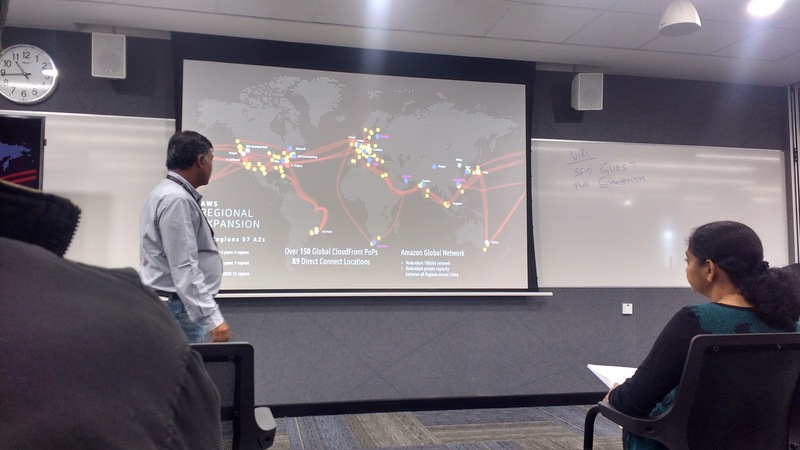 Madhu took over the stage back to help us dive deep into all new announcements for AWS Services and of course the next 3 hours was lively to witness the tale from the technocrat! AWS re:Invent is the biggest learning conference hosted by Amazon Web Services for the global cloud computing community. The event features are keynote announcements, training and certification opportunities, access to technical sessions, a partner expo, after-hours events and so much more. More than 50K people attend this event from world wide. This year event was full of new services in Compute, Database, Security, Machine Learning, Artificial Intelligence, IoT, Analytics, Big Data, Deep Learning etc. In AWS re:Invent 2018, 100+ new features and updates were announced. These updates belongs to different categories like Compute, Database, Analytics, IoT, Machine Learning, Robotics, Satellite, Mobile, Media Services, Network and Content Delivery, Storage, Security etc. In this exciting times where one can buy a kit to make a self decaying orbital satellite and launch to space, AWS have launched AWS Ground Station to deliver a satellite ground station-as-a-service and pay for what you use. AWS Ground Station is a fully managed service that lets you control satellite communications, downlink and process satellite data, and scale your satellite operations quickly, easily and cost-effectively without having to worry about building or managing your own ground station infrastructure. \ … and the list goes on. 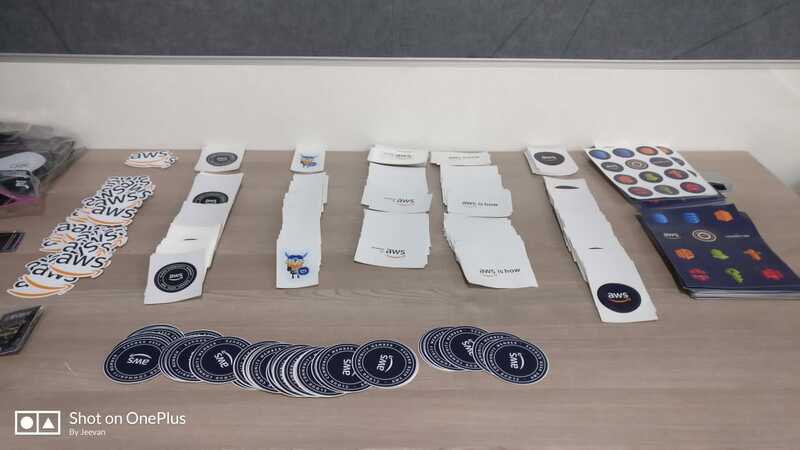 In the end of sessions cool stickers (AWS re:invent 2018 Stickers) were distributed. 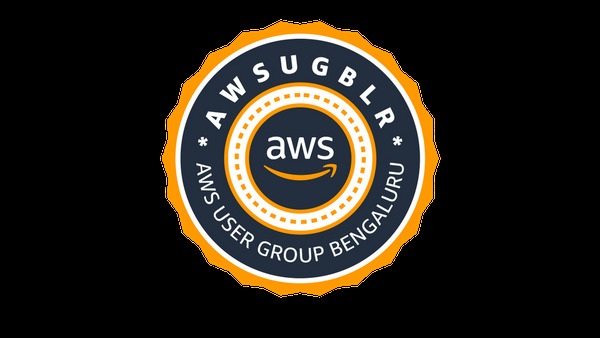 Prashanth HN, co-organizer AWS User Group Bengaluru, expressed his heartfelt thanks to Madhu for such an awesome session and also encouraged & invited us, the attendees, to write technical blogs under AWS User Group Bengaluru Blog.